The Employers’ Council is exceptionally concerned about comments Premier Dwight Ball and PC leader Ches Crosbie have made surrounding potential government intervention in an ongoing labour dispute between Unifor and DJ Composites. Government and the opposition appear to be conceding to Unifor’s demands that the House of Assembly be opened to pass legislation surrounding binding arbitration to “solve” this private dispute. While the length of this dispute is concerning, Unifor has resorted to extremely aggressive tactics, including illegal picketing, building a barricade around the plant to shut down operations, and producing a video designed to shame replacement workers who were acting completely legally. Government giving in to Unifor’s demands encourages these types of activities in the future. Legislative intervention by a government in a private labour dispute involving non-essential services is unprecedented and will be exceptionally damaging to our province’s labour relations climate, and our economy. It is imperative that government remain impartial in this and any private labour dispute. Negotiating a collective agreement is a significant business decision that impacts the success and viability of an organization. Imposing agreements by a third party with no stake in the organization’s success is not in the best interest of workplace parties and could actually increase labour unrest. 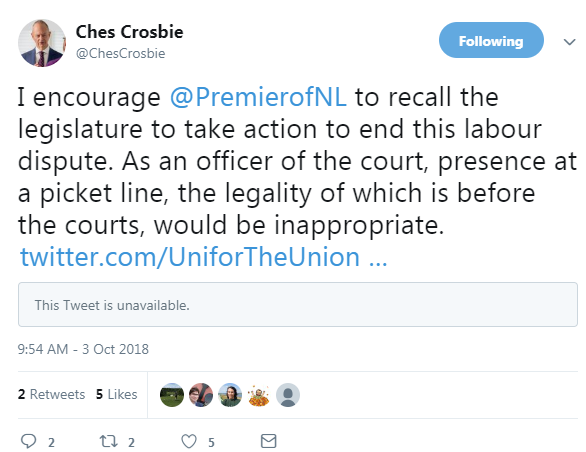 This level of government intervention in a private dispute would set a powerful precedent that Unifor, and other unions, would use in other disputes not only in NL but across the country. It has the potential to lengthen and polarize future disputes as unions would be more likely to hold out longer if there is a possibility of government intervention. 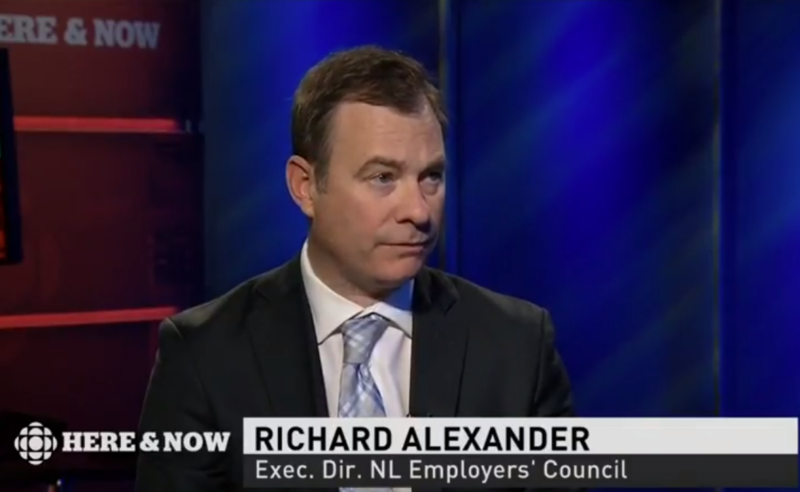 Comments by government and the opposition regarding this manner have sent a very concerning message to every employer and potential investor in NL. This is an unprecedented extension of government involvement into private business affairs. The Employers’ Council has made representation to the Premier and the leader of the opposition on this issue.